Take SlideShares with you anytime, anywhere. 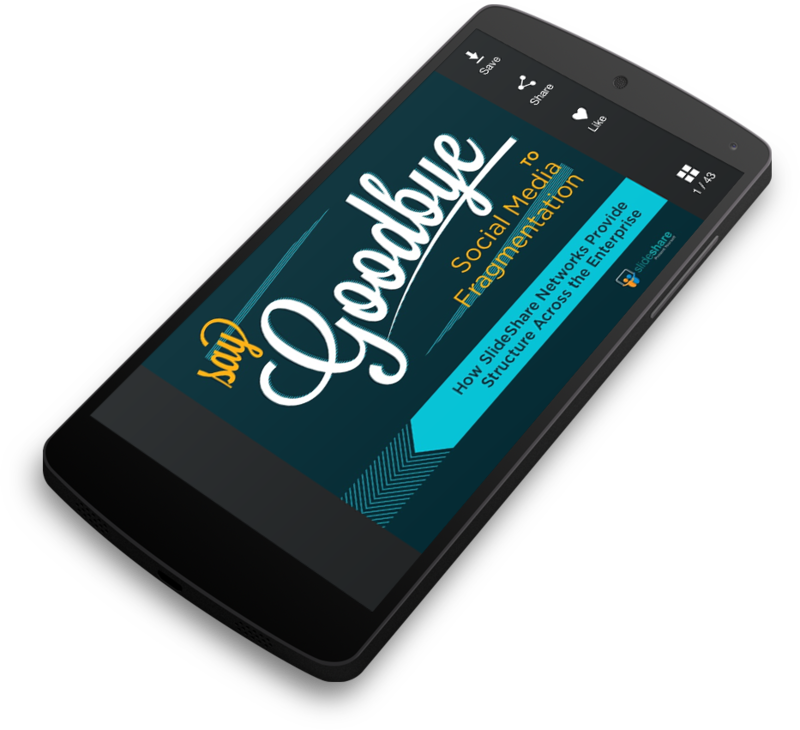 View SlideShares in either portrait or landscape orientation for an awesome presentation experience. 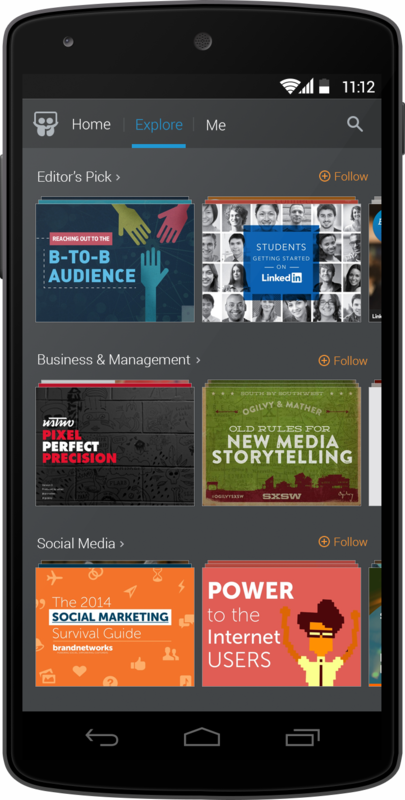 Swipe through slides, and discover decks at their fullest. Don’t have time to read something now? Hopping on a plane and want to review a deck? 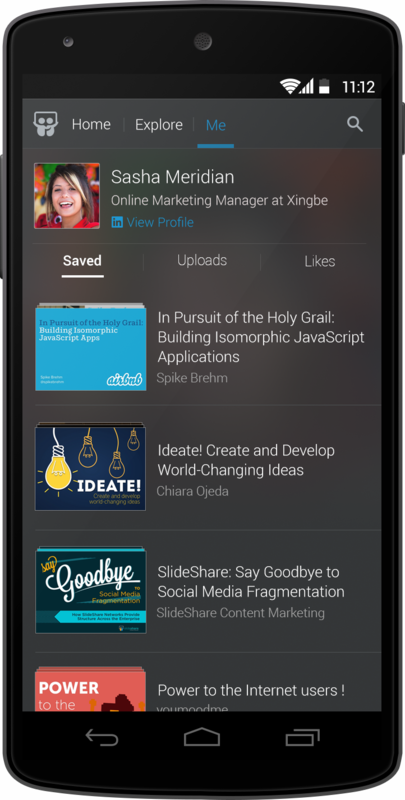 Save SlideShares to read later or offline, wherever you want. 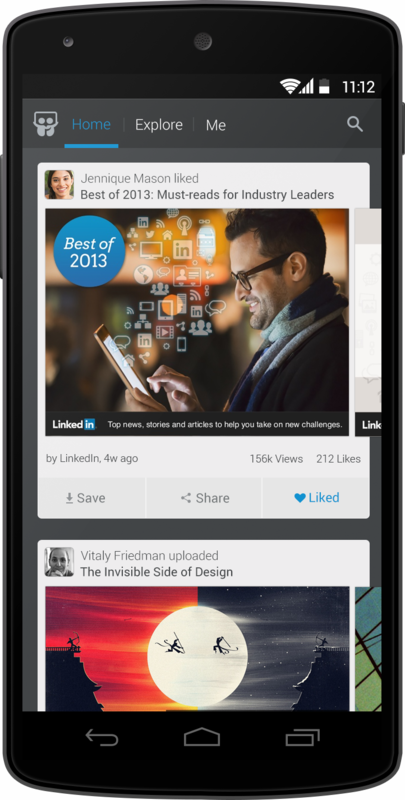 See the presentations your friends and colleagues are uploading, and check out the latest decks on topics of your choice.